The Webmaster (Jenny Chissus) maintains this Website (http://www.seldovia.com) hereinafter “Website” for your personal entertainment, information, education, and communication. Please feel free to browse the Website. Without the Webmasters’ prior written permission, you may not reproduce, distribute, modify, display, prepare derivative works based on, re-post or otherwise use the content of this Website, except that you may download one copy of the material in temporary storage on a computer for your personal or commercial use, provided you do not delete or change any copyright, trademark, or other proprietary notices. Except as expressly provided below, nothing contained herein shall be construed as conferring any license or right under any copyright or other intellectual property right. If you are an owner of intellectual property who believes their intellectual property has been improperly posted or distributed via this Website, please immediately notify the Webmaster, by using the Contact Webmaster button on the top right of this page. Images or photographs published on this Website may not be reproduced for publication without the express written consent of Jenny Chissus, and then if used in any on-line or paper publication, photo credit must be given to the photographer. We like to hear from you; however, in your communications with us, the website by electronic mail or otherwise, including any personal data, questions or answers, comments, suggestions, or the like is, and will be treated as, non-confidential and non-proprietary. Anything you transmit or post may be used by the editor. The material in this Website could include technical inaccuracies or other errors. We welcome corrections or additions. Your use and browsing of the Website is at your risk. Neither the Webmaster nor any other party involved in creating, producing, or delivering the Website shall be liable for any direct, incidental, consequential, indirect, or punitive damages arising out of your access to, or use of, the Website. The Webmaster and owner of the Website make no representations or warranties with regard to this web site or its contents herein. The Webmaster, the owner of the Website, any entity associated with the Website, its employees, agents, contractors or any other personnel connected with the Website are held harmless for any claim of any nature including any damages arising for any reason whatsoever from this Website or any web link used in this site. The Webmaster has not reviewed all of the sites linked to this Website and are not responsible for the contents of any off-site pages or any other sites linked to this Website. The inclusion of any link to such sites does not imply endorsement by the Webmaster of the sites. Your linking to any other off-site pages or other sites is at your own risk. You should assume that everything you see or read on the Website is copyrighted unless otherwise noted and may not be used except as stated herein. The Website and all the contents herein are the sole property the owner of the Website. Various photographs used in the Website have been used with permission from the owners. 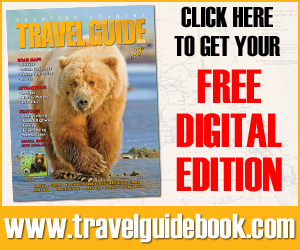 The contents of this site are protected, without any limitations, by U.S. copyright and trademark laws, with jurisdiction and venue within the State of Alaska . All of the source code in this site is copyrighted and is not available for anyone else’s use. 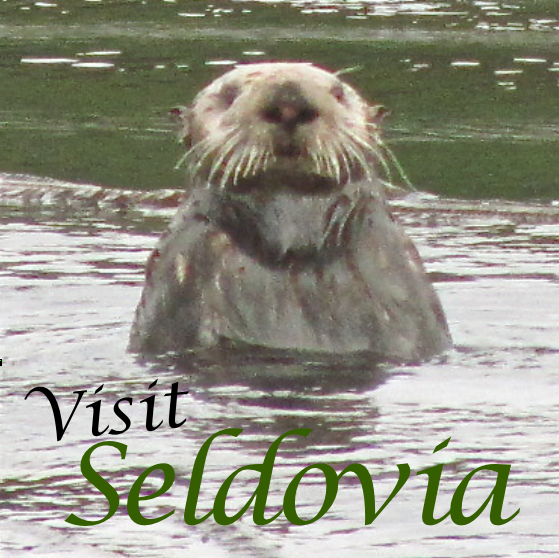 If you know of violations which pertain to this site, please email the Webmaster at Jenny@Seldovia.com.